The best things to do in Oita, Japan: Art, onsens, food, and rugby! 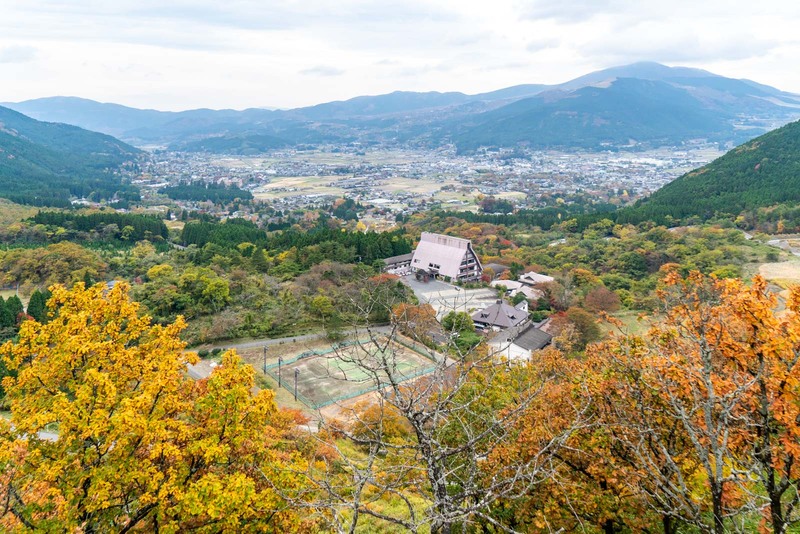 Oita: Land of onsens, art… and rugby! The Rugby World Cup is different from the Olympics. When Japan hosts the Olympics in 2020, most of the events will be in the host city of Tokyo. But with the Rugby World Cup in 2019, the whole country joins the party! That will be one of the wonderful things about coming to Japan for the 2019 Rugby World Cup. If you want to follow a particular team, it gives you a good excuse to travel to different cities to see their games. Or, if you would like to travel around Japan, you’ll be able to find games in different areas. One of the most important stadiums in the whole competition is actually in a rather unlikely place. I say ‘unlikely’ because it’s a part of Japan that many people may not have heard of and isn’t on the typical tourist trail – but it has so much to offer. I’m talking about Oita, a prefecture on the southern island of Kyushu. I have a feeling that people who come for the rugby will fall in love with it. But, of course, you don’t need to wait until there’s a rugby game to come and discover the region. Before I tell you about all the things to do in Oita, it’s worth mentioning the magnificent Oita Stadium. This is where three of the pool games will be held – New Zealand vs Canada, Australia vs Uruguay, and Wales vs Fiji. There will also be two quarter finals played here which, if things go as expected, will probably include some top teams like Australia, Wales, England, France, or Argentina. Oita Stadium was opened in 2001 for the FIFA World Cup the following year. It can hold up to 40,000 people and has quite a remarkable domed roof that can be either open or closed. What makes it particularly pleasant is that – much like many of the Japanese stadiums – it is designed in a way that makes it easy to get in and out, with hardly any queues for toilets or food and drink. Oita Stadium is about 10 kilometres from the centre of Oita city and it can be hard to get there when there’s nothing on because there are no direct public transport links. But, when there’s a game being played, there are fast and easy shuttle buses to get you there from the main train station. Regardless of whether you’re here for the rugby or here for a holiday, there are lots of things to do in Oita. Let me tell you about some of my favourites. Saiki City is a relatively small city on the southern coast of Oita prefecture that is famous for its seafood. Oita generally has a reputation for good seafood because the warm and rapid current that goes down the coast here means tastier fish – but the port of Saiki is where much of it comes first. The fresh catches coming in here from fishing boats mean people will travel to Saiki just for a meal. There are some great restaurants but my suggestion for the best sushi and sashimi in Saiki (and some would say, all of Oita) is to Fukuzushi. The food will be prepared right in front of you and then each piece will be placed onto the bench when it’s ready. 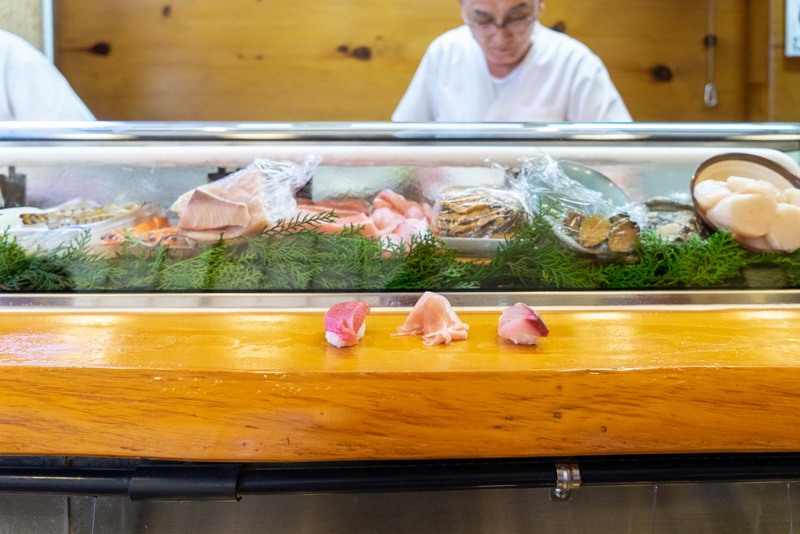 You just pick it up, pop in your mouth, and enjoy some of the best seafood tastes you’ve ever had. Saiki Castle was built in 1606 but history tells us that it didn’t last very long. It was destroyed by fire in 1617 and its owners decided that, rather than repair it, they would build a new one. However, it would have been quite a grand castle for its time and even the ruins that are left are quite impressive. But what makes visiting it worthwhile is the journey and the views – because Saiki Castle is at the top of a mountain. It takes about 20-30 minutes to walk along a forest path to the top from street level and once you’re there you can explore the ruins and look out over Saiki City and to the coast. 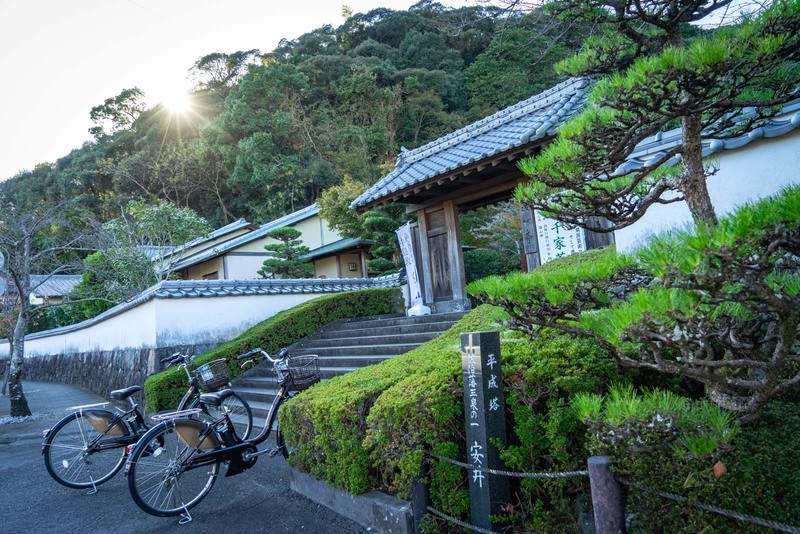 When you get back down to the bottom of the Saiki Castle trail, you’ll be at the start of a road that has been dubbed ‘The Way of History and Literature’. It’s only 700 metres long but there are centuries of history in the buildings on either side. Saiki has a strong samurai heritage and there are some signs along the way that explain how parts of this street relate to that. 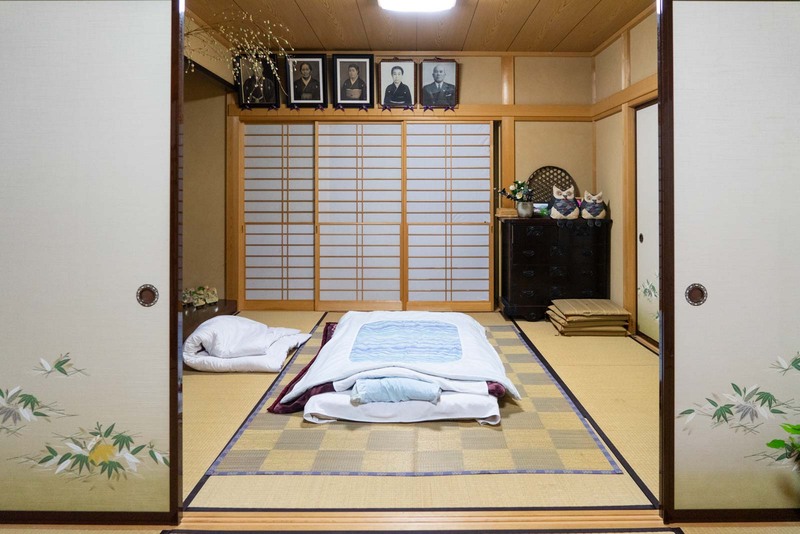 In particular, you can pop into the Doppo Kunikida Memorial House to get an impression of what the traditional residences were like in this part of the country. At the end of the road is the impressive Youken-ji Temple. You’ll be able to see some of it from the outside but it is usually closed to visitors. The capital city of Oita prefecture is Oita City but, with a population of less than 500,000 people, it doesn’t have the same chaotic feel as places like Tokyo or Kyoto. 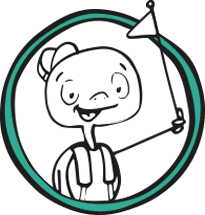 This is a regional capital, where you’ll find everything you need but won’t have any stress getting around or finding what you’re looking for. Oita also has its own quirks and personality. While there is considerable history here, the city has carved out its own niche as one of Kyushu’s leading artistic hubs. 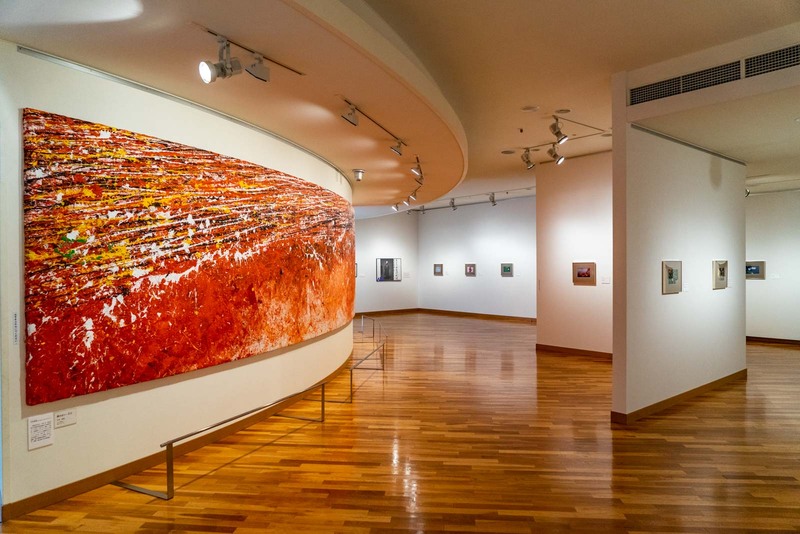 The best place to start exploring the art scene of the city is at the Oita City Art Museum. This large building has a few different sections with permanent and temporary exhibitions. Take a stroll through works from local artists that show the development of the different styles. There are some large impressive pieces and, like much of Japan, smaller works where the beauty lies in the details. I like the mix of modern and traditional that’s on display and there is a comfortable atmosphere to the way everything has been designed. It’s easy to spend a couple of hours here, if you’re interested in all the exhibitions. To continue the artistic experience, you can next head to the Oita Prefectural Art Museum (also known as OPAM). This is a very different kind of institution and feels less like a museum and more like a cultural centre. It was only opened in 2015 and has a fresh modern feel. The top floor has dedicated gallery space that is used for different temporary exhibitions, with each of them usually having their own admission fees. The rest of the building is free to enter and has smaller collections on display – sometimes about art but sometimes about things like science or the environment. There is also a good shop, spaces used by students, a library, and a cafe. Even if you don’t have time for any of the formal exhibitions, it’s worth going in to get a drink and have a look at the architecture and other items on display. The Art Plaza in Oita is not as comprehensive as the other two museums but it’s still worth having a look when you’re in the area. It is used as more of a community space and has exhibitions with local artists, or art fairs. The building as completed in 1966 and was originally used as the prefectural library. It was turned into the Art Plaza in 1996. There are quite often cultural activities or events here so it may be worth seeing what’s happening when you’re in town. Across the road from the Art Plaza is Funai Castle, one of the main symbols of Oita. The castle was built in the 16th century but it burnt down in 1743. Seeing as it was never rebuilt, it may seem strange that this is one of the symbols of the city – but there’s a reason. The main defensive walls, some of the turrets, and the bridges leading over the moat were rebuilt in the 20th century., and they are pleasant to explore. But in the position where the main keep was is the highlight. Here the city authorities have built the frame of the original castle and every night it lights up to in a bright representation of what once was. Of course, Oita City has some great places to eat and you’ll be able to find some fantastic food here. In the centre of the city, I would suggest going to an izakaya-style restaurant where you will get a good choice to local specialties. I would recommend Kotsu Kotsu-an, Gojyuroku-ya, or Tsubonaka no tenchi. There are a few specialties that are worth having while you’re in Oita. My favourite is called ‘toriten’ which is a type of fried chicken. There’s also a dumpling soup called ‘dangojiru’ that is made with a miso broth and has mushrooms, taro and carrot. 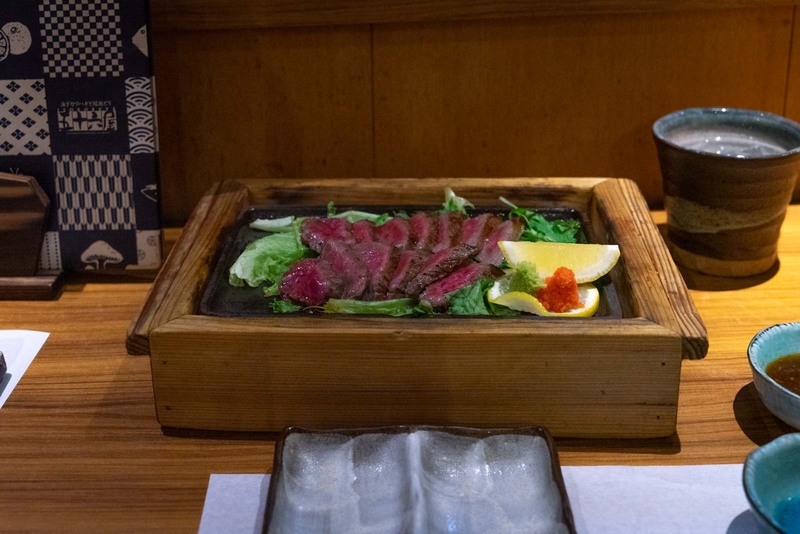 Plus I need to make a special mention of the Oita Bungo Beef that is a wonderful marbled beef that comes from the region and will often be served to you with a hot plate so you can cook it the way you like. Oita prefecture is well-known amongst the Japanese for its onsen, or hot springs. While it’s nearby Beppu that is most famous (and I’ll talk about that soon), there is a great onsen experience in Oita City. 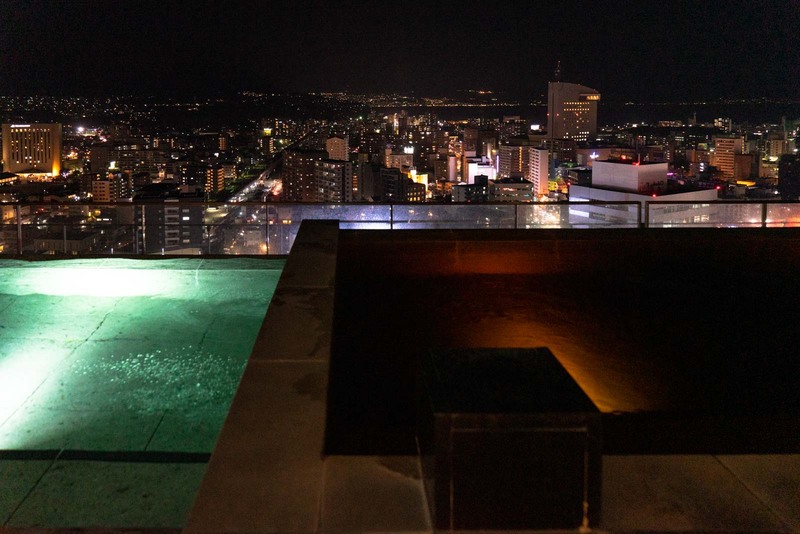 In the building above the train station, you can have a soak in the onsen high in the sky. There is an indoor bath on the 20th floor but I would suggest the outdoor bath on the 21st floor. You can look out at stunning city views from the comfort of the steaming hot water. 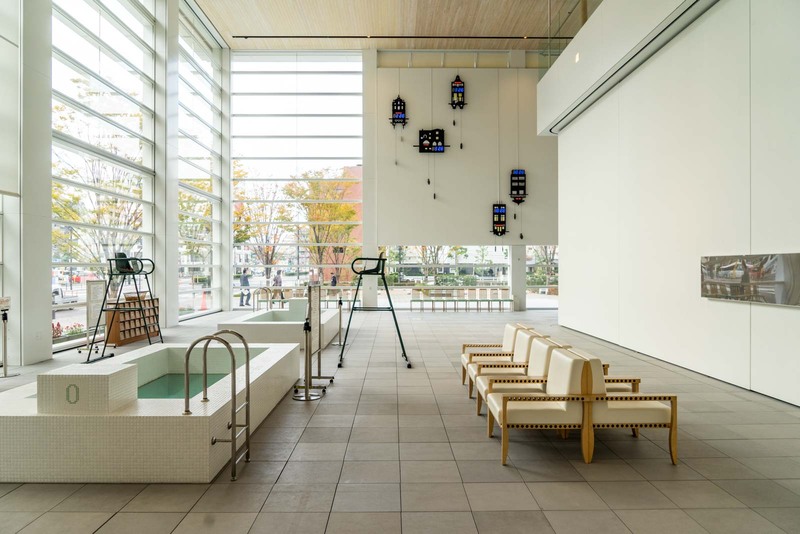 City Spa Tenku is very convenient because of its location at the main train station. It is also very accommodating of foreign visitors. Although it has all the traditional customs of a normal Japanese onsen, there are signs and instructions in English to help. As you go along the coast between Oita City and Beppu, you’ll pass a mountain called Takasakiyama. 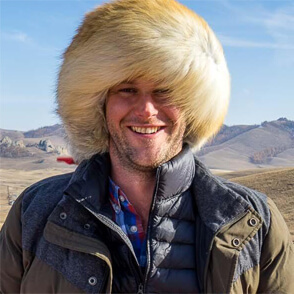 At 628 metres high, it’s something you may notice – but you probably wouldn’t give it much thought except for one reason. It’s home to about 1500 very cheeky monkeys! These monkeys live here freely – it’s not a zoo or anything like that, and during the day they come down to the mountain’s base. It’s here that you can get up close with them. But they’re wild… so not too close! The monkeys live in two troops that never come down at the same time, so the most that will ever be here is about 700. But you can see the babies playing in the kindergarten, the older males asserting their authority, and plenty of other hijinx. 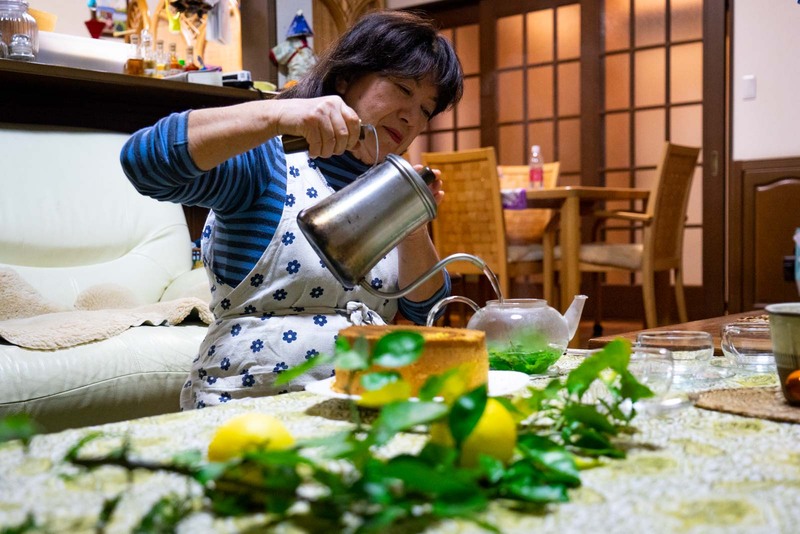 There is no shortage of accommodation options around Oita but none of them is as special as the homestay experience on offer around Usuki. The community has come together to create a homestay program that about 30 families take part in. You can easily arrange to stay the night with them and they will welcome you to the home, cook meals with local ingredients, and may even do some cultural activities. Most of the families around Usuki are also farmers – although sometimes this just means they have small plots with one or two products. But seeing this slice of rural life is a bonus. I will be writing more soon about my night with a family at their homestay. It’s certainly a unique experience and I think it will be one of the most special things you do on your trip to Japan. Finally, I can’t let you go without telling you about Beppu and the amazing onsens here. Beppu is a coastal city about 15 minutes by train from Oita City. Population-wise, it’s about a quarter of the size of Oita, but it very popular with domestic tourists. The main attraction is the onsens. Beppu has the distinction of producing more natural hot spring water than any other spot in Japan. This water is then channelled to the dozens of onsens that are available to visitors. While you can go to a public onsen, the best way to experience Beppu is to stay at a ryokan. You’ll get a traditional Japanese room, meals in the dining room, and large baths within the complex you can use. 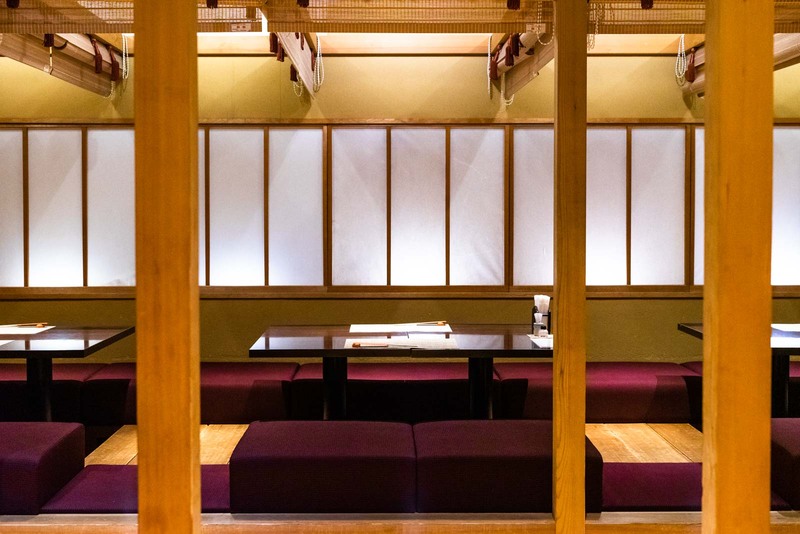 These ryokan onsen often have indoor and outdoor areas and are beautifully-decorated. It means you can just wander down from your room for a soak whenever you want. Oita is worth a few days for a trip – and not just because there are lots of things to do in Oita (and, of course, there are even more than I have talked about here). It’s also because Oita is meant to be taken slowly. You’re supposed to relax and soak in the art or soak in a bath. You can have a leisurely seafood meal, go hiking in the forest, or rent a bike and go cycling in the mountains. My biggest suggestion is to not just hop down to Oita for a rugby game and then leave again. Make a proper trip out of it and see a part of Japan that most visitors don’t get a chance to explore. Time Travel Turtle was supported by Tourism Oita but the opinions, over-written descriptions and bad jokes are his own. This looks like a fun destination! Especially the ‘The Way of History and Literature’ appeals to me! I also like what they have done with Funai Castle. So bright & beautiful! Always amazed at how clean Japan looks in pictures! Thank you for the great information.